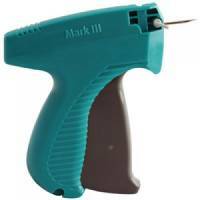 Avery MkIII Swiftach Tagging Gun For Plastic Fasteners to Products and Tickets Pack of 1 Ergonomic design lightweight and durable. 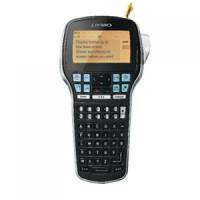 Avery Mk II Labelling Gun for Pricing Numeric 1-Line for Max.8 Characters Pack of 1 Robust; lightweight; versatile hand labellers which are easy to load and come with full colour easy to follow instructions Suitable for pricing; date coding and batch numbering With pounds sterling and euro symbols. 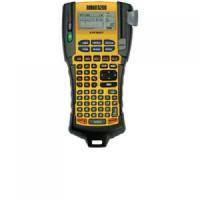 Brother PT-H105 Handheld Label Machine Pack of 1 Handheld labelling machine. 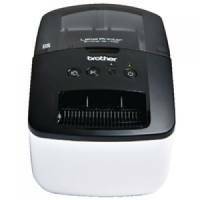 Brother D/T LabelMachine&CasePTD210VP Pack of 1 Desktop labelling machine with 20mm per second print speed. 14 fonts. 600 symbols. Ergonomic QWERTY keyboard. Prints labels up to 12mm wide. Built in cutter. LCD screen. 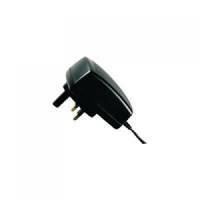 Includes 12mm Black on white tape and AC adapter. 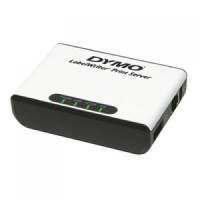 Dymo D1 240 Volt Adaptor Pack of 1 AC adaptor for all non-PC models except labelpoint 100. 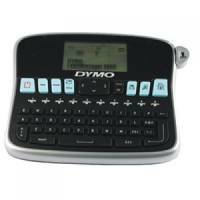 Dymo LM210D Labelmaker Pack of 1 Type text quickly on the computer-style (qwerty) keyboard with country-specific layout. 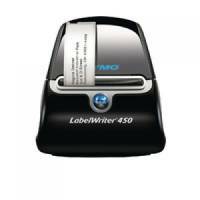 Dymo Labelwriter 450 USB Connection Pack of 1 Thermal print - no costly ink cartridges or ribbons. 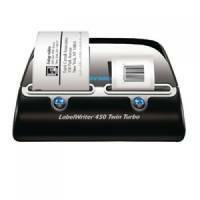 Dymo Labelwriter 450 Turbo Pack of 1 Thermal print - no costly ink cartridges or ribbons. 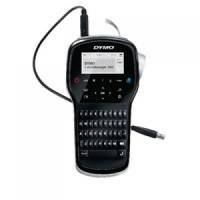 Dymo Labelwriter 450 Twin Turbo Pack of 1 Dymo label version 8 software enables you to create and print address; shipping; file; folder and barcode labels; plus name badges and more; all from your pc or mac®. 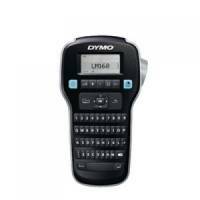 Dymo Labelwriter 450 Duo Pack of 1 The one printer for all your labelling jobs! print 100+ paper label styles plus prints dymo® d1 label cassettes. 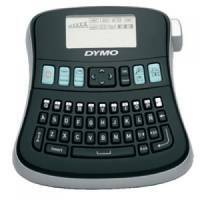 Dymo Rhino 5200 Label Maker Pack of 1 Dymo Rhino 5200 Label Printer. Dymo Label Manager 360D Pack of 1 See what your labels will look like before you print on a large 40 x 70mm screen that displays two lines of text. 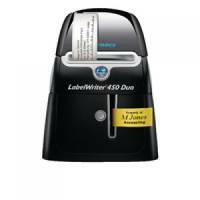 Dymo 4XL Label Machine Pack of 1 Next to 10 x 15 cm labels; the 4xl prints dozens of existing dymo labelwriter label styles and sizes for a variety of office and commercial uses. Dymo Label Manager Plug N Play Pack of 1 Even more features with free download of dymo label v.8 Software - print logos and batch labels from database files and much more. Dymo Label Manager 420P Pack of 1 Customize labels with any fonts and graphics on your computer through pc or mac®* connection. 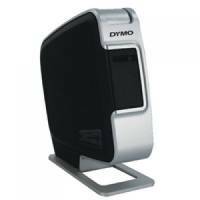 Dymo Labelwriter Print Server Pack of 1 No limitation of connectable workstations. 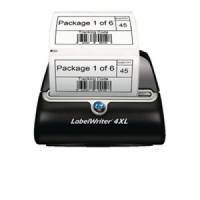 Dymo Label Manager 160 Pack of 1 6 Font sizes; 7 text styles and 8 boxes. 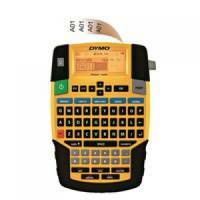 Dymo Rhino 4200 Commercial Label Printer Pack of 1 Large back lit easy to read display. 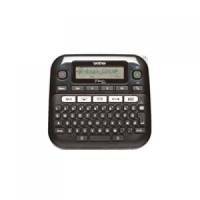 Dymo Label Manager 280 Pack of 1 Standalone machine - 3 font sizes; 6 text styles; 9 boxes plus underline; 220 symbols and clip art. 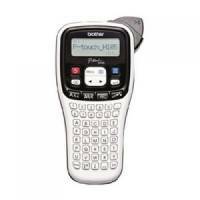 Brother QL-700 Professional Label Printer Pack of 1 Professional Address Label Printer with Plug and Print.